Improving the quality of mathematics and science teaching and learning in schools is an issue high on the agendas of governments, universities, and the teaching profession itself. Demand for well-qualified teachers is an area of pressure at a time when teacher education in Australia is coming under increasing scrutiny due to the emergence of a national education policy environment. This new environment features accountability measures such as a national assessment program in literacy and numeracy for school students (with the prospect of similar national testing in science), a national system for accreditation of pre-service teacher education programs, and national professional standards for teachers. Because this project is designed to ensure deliberate and systematic engagement with universities beyond the lead and partner institutions, it will generate outcomes useful to all Australian institutions that offer pre-service teacher education programs. 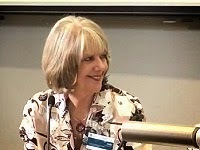 As well as producing resources that other universities can adapt to their own contexts, it seeks to identify models and principles for integrating content and pedagogy and for fostering collaboration that could be taken up by other disciplines involved in the pre-service preparation of teachers. Education Minister Simon Birmingham has raised the prospect of importing more specialist maths and science teachers from overseas to address a long-term decline in high school student performance. The South Australian senator acknowledged there was "clearly something wrong" in the education system after a global report found Australian 15-year-olds were getting worse at science, maths and reading. With less than 1% of Indigenous students studying STEM, Qantas, CareerTrackers and Atlassian among Australian companies aiming to encourage more to study science, tech, engineering and mathematics. Renee Wootton didn’t set out to smash any stereotypes, she just wanted to find friends when she moved to live with her grandparents in Marlee, a small town on the mid north coast of New South Wales. But when she joined the Australian Air Force Cadets as a teen, she discovered a passion for aircraft that led her to a career in aerospace engineering – an unusual choice for a woman, especially one with an Indigenous background. 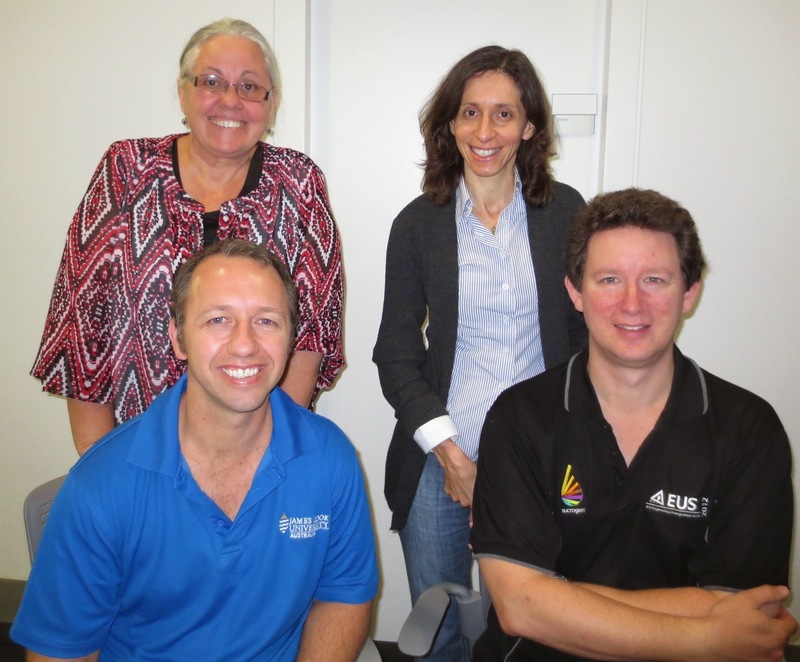 Young Aboriginal and Torres Strait Islanders are set to benefit from an engaging new Advance Queensland program designed to grow future university participation in science, technology, engineering and mathematics (STEM). Minister for Innovation, Science and the Digital Economy Leeanne Enoch said the STEM.I.AM program would help Aboriginal and Torres Strait Islander students build the skills and confidence to become future leaders in their communities. Supports science engagement and communication projects, events and activities that increase the reach and impact of science in Queensland. Grants of up to $10,000 are available to eligible Queensland-based applicants. Under special circumstances larger grants may be considered. Funds need to be spent within a 12-month period. Applications can be submitted online at any time, however assessment rounds will occur on a quarterly basis. Out-of-session applications that are time-dependent may be considered. STEM participation: To increase the number of students participating in STEM (science, technology, engineering and mathematics) subjects. Public engagement: To increase engagement and participation of the Queensland community in science-based activities. Scientist engagement: increase the number of scientists directly engaging with the Queensland community. Public awareness: To increase awareness and understanding of the great science taking place in Queensland. use an evaluation mechanism that provides quantitative and qualitative feedback. delivery of projects or events/activities in regional Queensland. The Coalition’s announcement on the eve of the federal election that it would commit $31.2 million to support women looking to choose and pursue STEM careers was greeted with unanimous optimism by tertiary groups and institutions, including Universities Australia. Are you a non-profit innovator with a big idea? Google believes technology can make a better world, faster. The Google Impact Challenge supports non-profit innovators using technology to tackle the world's biggest social challenges. Applications are now open for the 2016 Challenge. Australian non-profits are invited to apply and share your bold ideas for a better world. Google will award $4.5 million across 10 organisations to help bring their ideas to life. Four winning organisations will receive a $750,000 grant, and six additional finalists will receive $250,000. The DFAT Technology Against Poverty Prize is a AU$500,000 grant provided by the Department of Foreign Affairs and Trade's InnovationXchange program as part of the 2016 Google Impact Challenge. The prize encourages charities registered in Australia to explore new ways of delivering social impact internationally, using technology. Registrations are now open for this year’s Australian conference on Science and Mathematics Education (ACSME) to be held at The University of Queensland for the first time on 28-30 September. Conference chair Associate Professor Susan Rowland said more than 120 papers and posters have been submitted, as academics are keen to share their strategies and techniques for success in this challenging field. “This is a great opportunity for tertiary science and mathematics educators to share ideas and keep up to date,” said Associate Professor Rowland, who is the Deputy Director of UQ’s Institute for Teaching and Learning Innovation. The closing date for earlybird registration discount is Friday 5th August. 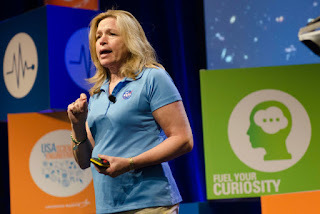 Ellen Stofan talks with U.S. News about working in STEM and attracting more women and minorities to the STEM fields. The theme of this conference is 'Cross Pollinating the Curriculum’ and is for practising STEM discipline secondary teachers. The conference provides delegates with practical ideas for the integration of Science, Technology, Engineering and Mathematics (STEM) disciplines at high schools (e.g. using science in a mathematics class, using mathematics in an engineering class). Back for 2016 providing more ideas for cross pollinating the curriculum from highly regarded practitioners in STEM education, it is our privilege to announce that Dr Karl Kruszelnicki has accepted our invitation to open the conference with a keynote address. It is our hope that he will inspire you to pursue the wonders of the STEM disciplines.All STEM teachers from middle primary to secondary school are welcome to attend. Numbers will be limited by the size of our venue. Proudly supported by IMSITE@UOW and the University of Wollongong. 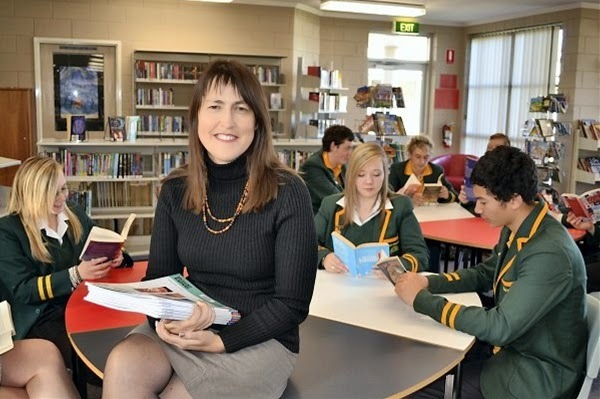 The Office for Learning and Teaching (OLT) leads quality improvement in learning and teaching through a suite of grants, fellowships and awards. enabling strategies to make change. The Learning and Teaching 2030 Conference will be interactive, strategic and future focussed. Learning and teaching strategies for the future, academic workforce for 2030 and other key themes will be explored at the conference throughout a range of interactive panel discussions. A poster session will also be held, showcasing the work of OLT-funded projects, commissioned work and fellowships. The conference aims to host a diverse group of innovative, strategic thinkers to engage in a thought provoking and solutions-oriented forum. © 2016 News Limited. All rights reserved. LARGE numbers of Queensland high school students are learning maths and science from teachers not fully qualified in those subject areas. An alarming 76 per cent of Queensland principals who took part in a major survey admitted that some maths and science classes at their schools were taught by teachers who were not fully qualified in those specialist subject areas. The finding is contained in the Australian Education Union’s 2016 State Of Our Schools report, which surveyed more than 1000 principals and 7000 teachers across the country. 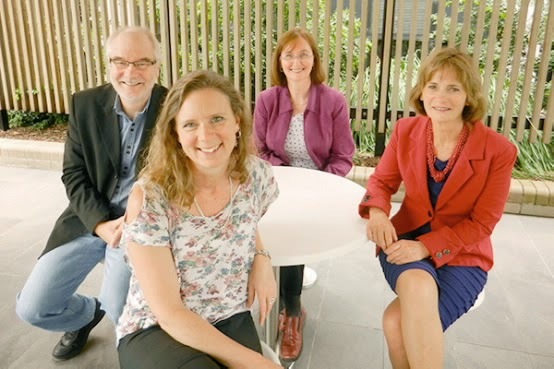 The SAGE Symposium is the highlight of the SAGE Pilot of Athena SWAN in Australia, an equity and diversity evaluation and accreditation program that has seen significant results in the UK, and is now being trialled in Australia. Thirty-two of Australia’s most respected STEMM organisations are taking part in the SAGE Pilot. This includes half of the Australian higher education sector (25 universities), five medical research institutions and two publicly funded research agencies. All year 12 students should be made to study intermediate mathematics if they want to enrol in a science, engineering or commerce degree at university, according to a national report by the Australian Academy of Science (AAS). become fascinated by the world we live in. QLD seed grants for National Science Week! programs for National Science Week. teachers, and we are keen to maintain your connection with the University. The Australian Conference on Science and Mathematics Education (ACSME) is an opportunity for tertiary science and mathematics educators to share ideas and keep up to date. Science and mathematics for this conference encompasses biological sciences, chemistry, geosciences, health sciences, information technology, learning and cognitive sciences, mathematics and statistics, molecular and microbial sciences, physics and psychology as well as the various fields of the applied sciences. Date and location: The conference will be from Wednesday 28 September to Friday 30 September 2016 in Brisbane, Australia – just prior to ComBio 2016 conference. THEME: The 21st Century Science Graduate: What is the place of our STEM graduates in the world? How do we prepare them? Sub-themes: Networking and collaboration, technology-enhanced learning, digital literacy, industry engagement, community engagement, work integrated learning (WIL), transferable skills, employability, communication in science & mathematics. There is still time to register for Universities Australia's 2016 Higher Education Conference from 9 to 11 March in Canberra. Organised by the sector for the sector, it is Australia's pre-eminent higher education event. This year's conference will have a particular emphasis on universities and innovation at a time of economic and social transformation. Join university leaders, academics, researchers, policy makers, business and many more. Applications are now open for the Department of Education and Training’s 2016 scholarship and grant programs.These scholarships and grants reinforce the department’s dedication to providing the best teachers for all state schools while promoting teaching as a career path. The scholarships and grants on offer include the Step into STEM Teaching scholarships for high-achieving individuals and experienced professionals interested in teaching in the science, technology (including industrial technology and design), engineering, robotics and coding, and mathematics disciplines;Aspiring teacher grants which support high-achieving secondary students commencing their studies to become a teacher, and theBeyond the Range professional experience grants which assist preservice teachers to undertake a professional experience in a rural or remote Queensland state school. The Pearl Duncan teaching scholarships support Aboriginal and Torres Strait Islander people to gain an initial preservice teacher education qualification. Also for Aboriginal and Torres Strait Islander people is the Lambert McBride Perpetual Bursary which will provide a one-off grant to assist with tertiary expenses for study in any discipline. And all Queensland secondary schools are invited to nominate one of their high academic achievers who has demonstrated leadership excellence for a TJ Ryan Memorial Medal and Scholarship for 2016. This scholarship program is open for any tertiary study across Australian higher education institutions. Unless otherwise indicated, applications close Friday 11 December 2015. Please share the details of these scholarships within your networks and school communities. Further information is available from the Make a difference. Teach website. The Office of the Chief Scientist has provided a $150,000 grant to the ACDS to establish a national network supporting work integrated learning in science faculties and schools. A call for co-funded lighthouse projects will go out in late August and a national forum will be held on 11 December at the Park Royal Hotel at Melbourne Airport. Request for Tender for the Mathematics by Inquiry initiative has been released on AusTender. The Mathematics by inquiry initiative is a part of the Australian Government’s Industry Innovation and Competitiveness Agenda. The RFT invites tenders to develop, disseminate and ensure widespread awareness and uptake of a suite of mathematics teaching and learning resources for Foundation to Year 10 students, teachers and school leaders. Further information is available in the RFT and associated documentation from the AusTender website (www.tenders.gov.au then go to the ‘Current ATMs’ from menu on left hand side of the Home page) or you can use this link to go to the Mathematics by Inquiry item (however you have to register to obtain the tender documentation). The second Sydney University Secondary Maths Alumni Conference (SUSMAC) was held on 8 April 2014 at the Faculty of Education. 11-13 February 2015 at UTas Newnham campus, Launceston. Open to all educators: teachers, team leaders, Principals, and those involved in curriculum development and educational policy. This conference has been developed to build upon previous work by the project team during the Building the Culture of Evidence-based Practice in Teacher Preparation for Mathematics Teaching (CEMENT) project. It is a unique, special interest conference to discuss key issues on 'knowledge for teaching'. 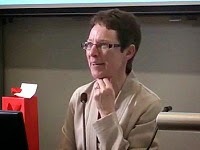 Drawing on the growing body of work on the notion of pedagogical content knowledge – the specialised ways in which teachers know and understand their discipline areas—the conference will be an opportunity for you to develop ideas and engage in discussions and debates with colleagues from across Australia. Secondary school science and maths teachers and school laboratory technicians are invited to participate in this practical, hands-on program to develop or update key teaching skills and knowledge. Registration: Open until Monday 23rd November. Support for this project/activity has been provided by the Australian Government Office for Learning and Teaching. The views in this project do not necessarily reflect the views of the Australian Government Office for Learning and Teaching.